Brenton Foster continues to establish himself as a unique voice in the Australian original music scene. His compositions feature on several prominent Australian releases, most notably his 2016 record, Two Cities, which was nominated for Best Jazz Album in the 2016 The Age Music Victoria Awards. 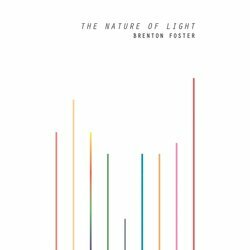 Following the critical success of Two Cities, Brenton is set to release his second album, The Nature Of Light, at the 2017 Stonnington Jazz Festival. Inspired by the connection between colour and emotion, The Nature Of Light features nine stunning, original, instrumental compositions spanning the divide between jazz, cinematic and singer-songwriter aesthetics. Brenton will also be performing at the 20th Melbourne International Jazz Festival alongside The Steve McQueens (Singapore) before touring his new record throughout south-eastern Australia. He's featured on numerous recordings, including those by afrobeat-meets-space-jazz outfit The Shaolin Afronauts, and Australian folk-rock wordsmith Max Savage. Brenton is a founding member of piano trio, Refraction, whose debut album was nominated for Best Jazz Album at the 2015 The Age Music Victoria Awards.